Sorry, you can only order up to 6 units of this product! 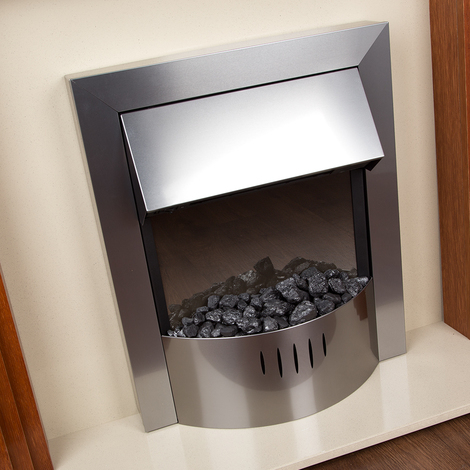 This slimline electric fire would look great in any living room with its stylish modern stainless steel design. It would make a stunning focal point in your room as well as providing much needed heat during the winter. This product uses a pebble or coal fuel bed adding to the authentic style of a natural fire. This electric fan heater has an output of 2kW. The heat comes from the front of the fire. Dimensions: (H) 617mm x (W) 514mm x (D) 220mm. Note: This gas fire can be used with an MDF back panel or hearth.